You are here: Home / The Best Website Builder For Your Website / Wix vs Weebly: Which Is Best For You? 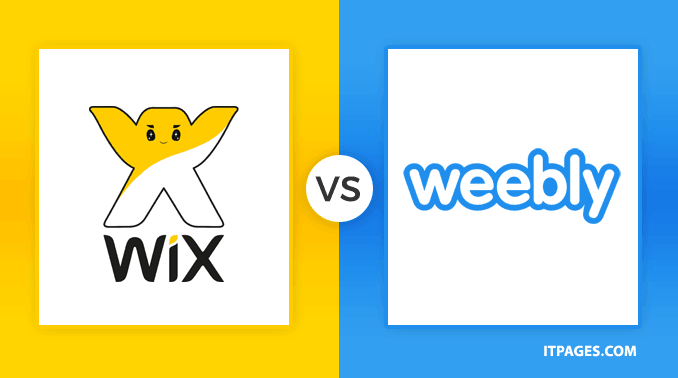 Wix vs Weebly: Which Is Best For You? Wix and Weebly are among the simplest website builders around. Both platforms help even the technically challenged business owner to build their own website. But, often the trade-off for a simple website is limited features. So then, which of these two simple options offer the most features in a basic platform? Further to our review of Wix and review of Weebly, we compared both to find out which option is best for the small business owner. Disclosure Website Builders is a professional review site that receives compensation from the companies whose products we review. All services have been fully tested and used by our team, all recommendations are based on our experiences. We are an independent company, with our own opinions. 6 Wix: Who is it best for? 7 Weebly: Who is it best for? 8 So, who wins? Wix or Weebly? When it comes to simplicity, Wix and Weebly are the first platforms that come to mind. Both are simple, What You See Is What You Get (WYSIWYG) editors, no programming knowledge necessary. The editing mode on Wix looks almost exactly like the actual website, with a toolbar and toolbox thrown in. If you want to edit something, you simply click on it. It's really hard to imagine a way that a website builder could get any simpler. Most things are automatically added based on the template you choose, but for the items that aren't there yet, that's where the toolbox and toolbar come in. Weebly comes in pretty close when it comes to ease of use. Choosing the type of website determines what options are automatically set up for you—though if you choose a blog or a store, your home page is the blog or storefront, not the classy homepage in the demo with the design theme. Again, elements are added just by clicking on them. New options are just dragged and dropped onto the page. While both options are very simple to use, Wix is probably a bit easier, though not by much. The way the editor is set up to look like the actual webpage, plus simple icons, makes it very simple to use. Wix users have plenty of template options to choose from, though some options are only available with certain monthly subscriptions. The options are organized by category—with different template options for restaurants vs. photographers, for example. These categories helps users to choose the category that will offer the features they need for their particular business. The templates are clean and modern and include a variety of styles. Templates also range from full, detailed websites to one-page options. Wix does have an unusual feature to add animations like on a Powerpoint—but these tend to look unprofessional so they're best avoided. The downside to all those designs is that the template cannot be changed later without reworking the entire site. Weebly has over 100 themes, and many of them are modern and well designed. Where Wix is organized by industry type, Weebly can be organized by style and color. Both Wix and Weebly have a wide selection of templates. Because Wix's designs are set up by industry type, the templates are automatically set up with some elements for that particular industry—like a menu page for restaurants, for example. Wix is also brought down a notch in this category because the templates can't be changed later. There's really no loser here—but if you like to change your design easily, Weebly allows that where Wix does not. While not designed specifically for eCommerce, both Wix and Weebly have the option to sell products. For being so simple, they both have a rather surprising feature set for eCommerce. Wix has quite a few features for being a simple platform—including coupon codes. There's an introductory video to help new users get set up, but like the rest of Wix, the eCommerce is pretty easy to use too. Tabs organize the editing options, and products are organized within the store by collections, so it's easy to put similar products together. The platform isn't as full featured as sites designed specifically for eCommerce—for example, the products can only have two options, so if you sell an item that has variations on size, color and material, you'll have to add one of those options as a separate product instead. Weebly appears to have a few more options, including sending customers a custom email and order confirmations. Customers can also use filters when searching for products, such as a price range. The storefront design is excellent, and the platform itself is easy to use when it comes to eCommerce. We found Weebly to be slightly preferable for an online store, though both options offer enough to get a basic store up and running without any issues. Along with eCommerce, both Wix and Weebly offer features like a blogging platform and responsive designs so sites look just as good on smaller smartphone screens. The platforms come pretty close in terms of extra features. One big difference is that it's simple to add a block of HTML code on Weebly, where Wix doesn't have this option without a third party app. That's the big difference between these two in terms of features—Wix tends to use more third party apps where Weebly has more features built-in. Using built-in features is a bit simpler than using a third-party app, so Weebly is our choice here. You can use Weebly for free—but it's very limited. Business will at least want to pay the $3.29 USD/month to eliminate the “.weebly” from the domain name. eCommerce users will want to purchase the business package at around $20 a month in order to be able to access all the features, like setting a shipping price. Wix is a bit more expensive, though not by much. The basic package is about $4 USD a month when paid annually. For eCommerce, businesses need the $16 or $25 plans in order to get a shopping cart. Wix: Who is it best for? Wix is the simplest web builder we've tested. The design platform looks like the actual website, and changes are made just by clicking. While it's simple to use, it's missing a few features like the ability to add your own HTML code. For business owners that need something simple, Wix is a good option. Weebly: Who is it best for? Weebly is still simple to use, but offers more options, including the ability to change your website design without doing a major overhaul. Weebly also has more built-in features that don't rely on third-party apps. Because it's simple, yet still offers a decent amount of features, it's suitable for a variety of business owners and even eCommerce. So, who wins? Wix or Weebly? Wix wins this comparison – their quality of templates, ease of use and level of support and help make Wix the best website builder in the market. Signup today for a free account to test out its features.